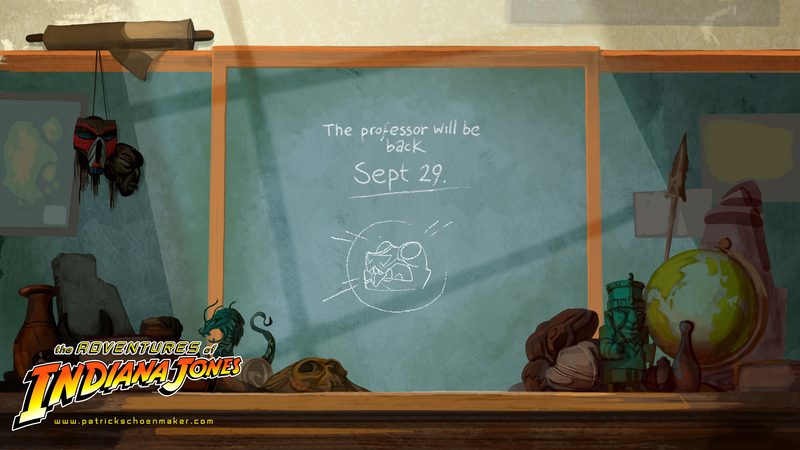 The professor is back on September 29th! There you have it, September 29th is the official release date for my animated Indiana Jones project, so whip out your calenders and mark the date! Just a little disclaimer though, please don’t expect a full feature film, or even a 20 minute episode. Animation is a lot of work and there’s only so much you can accomplish with a small team of 1 and a handfull of assistants. Think more like something along the lines of a fully animated proof of concept. Very excited for this – I can only hope that a Disney-owned Lucasfilm will see a place for animated adventures of Indiana Jones in its expanded Indyverse (as they have done with Star Wars and the Rebels series). Well done, sir! Congratulations! That’s a lot of work. Insane! I’d like someone do a Blade Runner’s cartoon too! Meanwhile, congratulations: You done something realy big as a pro and as a fan. Who’s gonna voice Indy?? Lol Is this going to be available to purchase on iTunes or viewable in youtube? Sorry for all the questions, I’m super stoked for this movie! !